Plan Administrator Demands That Disabled Pensioner Repay Pension Overpayment: Is This Legal? By Pension Lawyer Eva Cantarella of Hertz Schram PC on Wednesday, July 12, 2017. I frequently receive calls from pensioners who have received a notice from the pension plan administrator that they were overpaid and that they must repay the overage; otherwise, the plan will withhold all or a portion of their future pension checks until the overage has been repaid. The callers want to know whether the plan can lawfully do this. My answer? It depends. But if (i) the plan administrator did not mislead the pensioner, (ii) the over payments continued for a short period of time, and (iii) the monthly amount to be withheld will not present a hardship to the pensioner, most courts will say "yes." Key v. Unicare, No. 3:15-cv-00851, 2017 U.S. Dist. LEXIS (W.D. 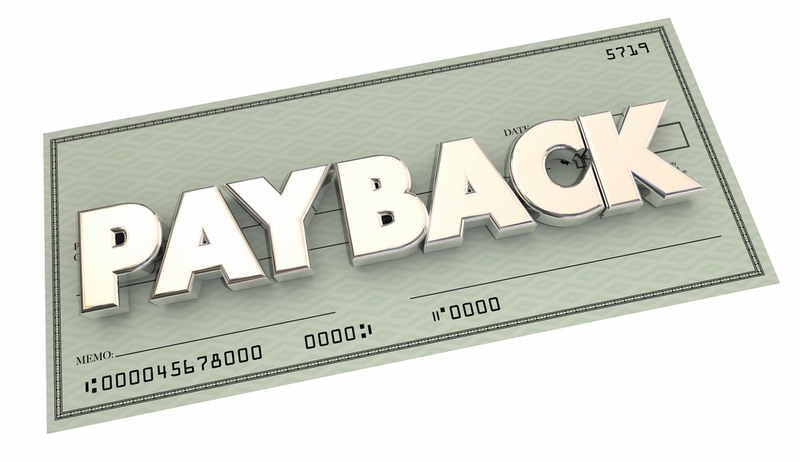 Ky May 15, 2017), is illustrative of the considerations a court may apply in deciding whether a pension overpayment must be repaid. In Key, Mary Key was a participant in a Ford Motor Company pension plan. As of August 1, 2013, she received a disability pension under the plan in the amount of $994.52/month. Under the plan, Key was also eligible for a temporary benefit in the amount of $274.58/month provided (i) she applied for Social Security Disability Income (SSDI) benefits, and (ii) her SSDI application was denied. Although the temporary benefit starts when the participant retires, if the participant later becomes eligible for SSDI benefits, the temporary benefit stops and all temporary benefits received must be repaid to the plan. Key applied for SSDI benefits, but was initially denied. Therefore, in addition to paying her disability pension, the plan paid Key the temporary benefit as of August 1, 2013. However, the Social Security Administration subsequently approved Key's SSDI claim and paid her $39,445.20 in past due SSDI benefits. Upon learning this, the plan's Retirement Board (i) stopped paying Key the temporary benefit, and (ii) notified her that she must repay all temporary benefits received ($21,081.30), and that if she did not do so it would withhold one-half of her future monthly pension payments until the temporary benefits (the overage) were fully repaid to the plan. Key did not repay the temporary benefits to the plan. Instead, she filed a hardship claim with the Retirement Board, requesting that she not be required to repay the overage. The Retirement Board denied Key's claim, reasoning that she had sufficient assets to repay the overage, including $104,000 in a Ford-sponsored savings plan. Key then sued Ford and the Retirement Board in federal district court, alleging that they were improperly denying her pension benefits. In response, Ford and the Retirement Board filed a counterclaim seeking to recoup the temporary benefits. In evaluating the parties' positions, the federal district court explained that pension plans have a right to recover benefit overpayments, but, before they may pursue recoupment, they must balance the impact of the overpayment on plan beneficiaries against the equitable treatment of the individuals from whom the overpayments are sought. The court concluded that this balancing favored the Retirement Board, not Key. First, the overpayment was not a mistake. On the contrary, the Retirement Board had communicated to Key that if she obtained an SSDI award, she would be required to repay the temporary benefits. Additionally, when Key declined to repay the temporary benefits after receiving her SSDI award, the Retirement Board promptly pursued its right to recoupment; it did not delay in asserting that right. Most importantly, in seeking recoupment, the Retirement Board considered Key's income and determined that the monthly withholding of 50% of her monthly pension would not detrimentally impact her financial situation given her other assets, including the income she was receiving from the SSDI award. Finally, Key had no equitable defense to the Retirement Board's recoupment claim because she could not show that the Board had made any inconsistent statements to her upon which she relied to her detriment. Although Key was required to repay her pension overpayment, it is important to keep in mind that the court's ruling against Key was entirely fact dependent. If the Retirement Board had mistakenly paid Key too much and the mistake had continued for a lengthy period, or if the Retirement Board had not promptly pursued its right to recoup the overpayment, the case could have gone the other way. The point here is that if YOU receive a letter advising that your pension has been overpaid and that you must repay the overage, you should immediately consult an experienced pension attorney to determine (i) whether you have, in fact, been overpaid, and (ii) if so, whether anything can be done to stop or mitigate any recoupment efforts by the plan.